"Fishers of Kids" is simply a children's ministry who's goal and vision is to get Jesus to the kids, and the kids to Jesus. To make a long story short, for years I hunted for children's church curriculum and couldn't find what I was looking for. It was either way out of my price range, or it really wasn't any good. 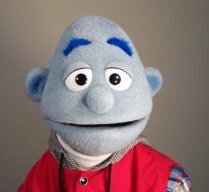 So I decided to put the skits and puppet skits I had done for the past 17 years of children's ministry together and put it out on the internet for other children's ministers to download for free and use. I know that many of you have good ideas and quality programs, but you need some new and fresh ideas to use every once in a while. Jesus said, "Freely ye have received, freely give," and being the God didn't charge us for the ideas He gave, we don't charge, but give to others what He has given to us. "Fishers of Kids" is a non-denominational ministry. It is evangelical, with its lessons on the principles of Christianity: Salvation through Christ, Living a Christian life, Faith in God, Love, Forgiveness, Reading the Bible, Prayer, Witnessing, the Fruit of the Spirit, a two month period on the Ten Commandments, and more. I figure most of us Christians agree on 90% of doctrine, I might as well teach the kids on that. 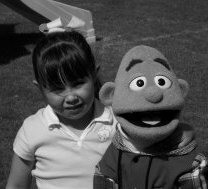 Currently we have: 84 puppet skits, 84 drama skits, and 1 1/2 years of curriculum you can download for FREE. The curriculum is a children's church curriculum designed for kindergarten through the sixth grades. The skits were written for the same age group, but we have often modified them and used them for Jr. and Sr. High Youth group skits. Peter says in II Peter 1:12-15 that he continually put the people in remembrance of God's truths even though they already knew them and were established in those truths, so that when he would go on to be with the Lord, the people would have those truths firmly and deeply rooted in their minds. In the same way, we in the Children's Ministry need to continually put our kids in remembrance of Jesus and His truths, even though they think they know it all and are established in those truths, so that when they leave our Sunday School, they will always have these truths firmly and deeply rooted in them, and be able to stand strong in the faith of their Lord and Savior Jesus Christ. If you enjoy this curriculum, please feel free to duplicate it and give it to others. Also, if you have any ideas you would like to share, please send them in, and we gladly will pass them on. Thank you for your interest, and may God bless you as you minister the gospel of our Lord and Savior Jesus Christ.